The perfect duvet set for all little budding astronauts. 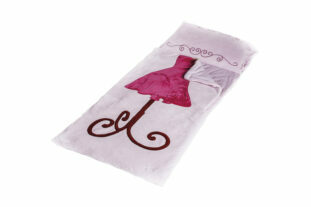 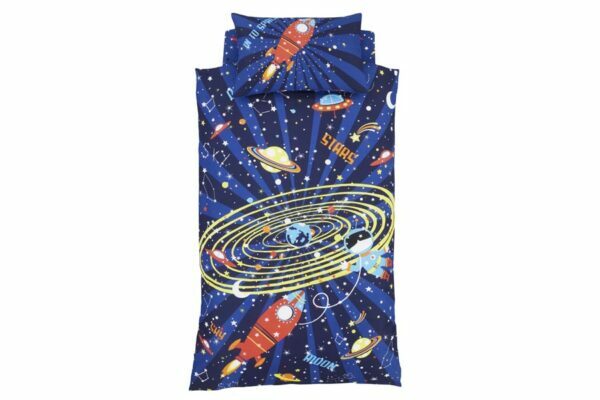 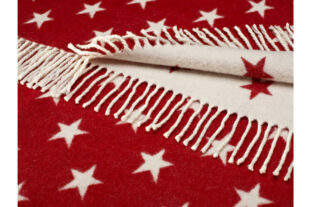 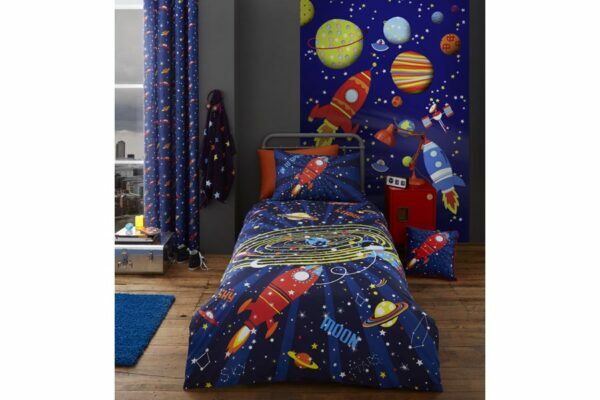 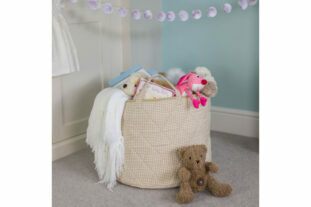 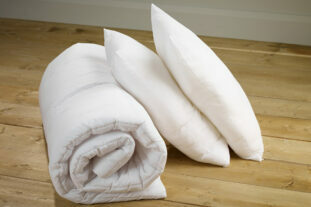 Blast off to sleep with this amazing fully reversible bedding set. On one side a jam packed space setting which features a spaceman, UFO’S, a rocket and colourful planets including a the earth. 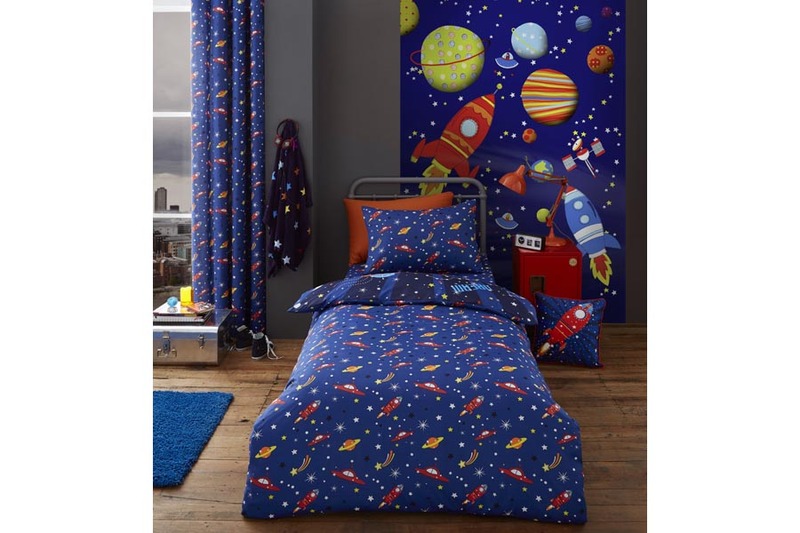 Then the space magic continues with heaps of scattered UFO’s, rockets and shooting stars on the reverse side.